Research is aiming to demonstrate methods of bioenergy production that do not compete with food production and environmental conservation, but contribute to them. Scientists from the Center for International Forestry Research (CIFOR), the Korean National Institute of Forest Science (NIFOS) and Indonesia’s University of Muhammadiyah Palangkaraya (UMP) are currently conducting research through a collaborative research project to identify the most promising and productive bioenergy crops suited to degraded and underutilized lands. 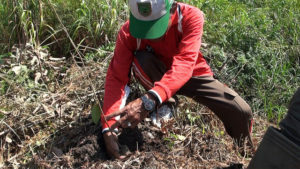 Biofuel plantations could be central to meeting landscape restoration targets in Indonesia, while also helping the country to meet growing energy demand. The total area under scrutiny in the research project is a 7.2-million hectare tract of mostly degraded land in Central Kalimantan province, which has been largely devastated by forest fires and conversion to agricultural and mining activities. 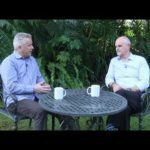 More than 40 percent of residents in the province do not have access to electricity and rely on woody biomass for cooking fuel. 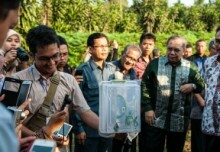 Indonesia’s Ministry of Energy and Mineral Resources, regional and local level governments jointly implement the Bioenergi Lestari (Sustainable Bioenergy) program to establish bioenergy plantations on 62,500 hectares of land. “Overall, Indonesia aims to meet 23 percent of its growing energy demand from new and renewable energy sources by 2025 with a 10 percent share from bioenergy,” said Himlal Baral, a scientist with CIFOR’s climate change, energy and low carbon research team. Scientists undertook their research in Buntoi village, Pulang Pisau district, where the population of 2,700 people was largely dependent on rubber plantations and subsistence agriculture until 2015 when fires swept through destroying forests and peatlands. “The research plot is a flooded area in the rainy season and very dried out in the dry season, leading to fires,” said Siti Maimunah, dean of the Faculty of Agriculture and Forestry at UMP. 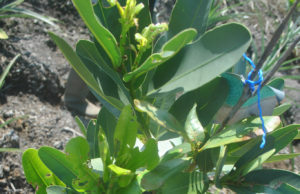 After planting tree trials, the scientists tentatively identified nyamplung (Calophyllum inophyllum) as the most adaptive bioenergy tree species for degraded peatlands in the area, their report states. The nyamplung grew best when it was planted in a mixed agroforestry setting, rather than monoculture. Planting trees for biofuel can help offset greenhouse gas emissions. 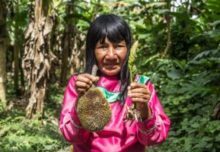 In the case of the nyamplung only the seeds are collected to produce biodiesel and replace fossil fuels, which means the tree remains in the landscape providing other environmental services. “Our objective is not intended only to restore burned peat land with a strictly biofuel production approach, but to enhance it with appropriate policies concerning environment and development goals,” said Syed Rahman, a researcher with CIFOR. Biofuel production can help offset the high costs involved in meeting such land restoration goals as the Bonn Challenge, an international commitment made during UN Climate talks in 2014 to restore 150 million hectares of the world’s deforested and degraded land by 2020 and 350 million hectares by 2030. 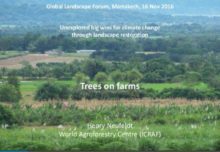 Landscape restoration is at the forefront of national agendas as countries implement efforts to meet UN Sustainable Development Goal (SDG) 15 on life on land, by 2030. 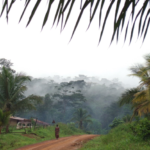 By Julie Mollins, originally published by CIFOR’s Forests News.